This arcticle was written with the help of my friend, Pamela K. Hathorn, Ph.D., (Associate Dean, College of Science & Health Professions, Northeastern State University, in Tahlequah, Oklahoma). It's entitled "Pre-med", but the information goes equally well with other health professions. The difference will be the pre-requisites and the admission tests. Should I major in Pre-Med, or something else if I want to become a doctor? PRE-MED IS NOT A MAJOR! It’s a list of pre-requisite courses and other requirements for admission to medical school. Professional schools don’t care what your degree is in, only if you took the correct courses, how well you did in school and in those courses, and how well you did on their admission test (i.e. MCAT, DAT, GRE, etc.). My doctor has a degree in agriculture, and I know a doctor and a dentist who were Chemical Engineers first! The degree YOU should choose is different for each person. Figure out what “Plan B” is (what you’d like to do in the event you CAN’T do Plan A – in case you can’t get in, can’t afford it, or change your mind), major in that, and meet the pre-requisites for med school through electives toward your major or just excess electives. It’s far better to take a few extra courses and have a degree you’d want to use, than to choose a degree that includes all the pre-reqs, and graduate with a degree you don’t want to use. Practical experience in this career field is of critical importance. Many people choose careers for the wrong reasons, like countless college students, who choose pre-med because of the money and prestige of the field. Only by volunteering, working or job-shadowing medical professionals will you get a clear picture of what the profession is all about – what exactly medical professionals do all day long. The closer your experience is to exactly what you want to do (pharmacy, nursing, orthopedics, etc. ), the better. Any of this type of experience is necessary for you to know that it’s really what you want to do. But professional schools want to see what you’ve already done in that regard. They want to know that you’ve voluntarily given up your time to learn about their profession, fine-tune your area of interest, and that you know what their career field is all about. Regardless what medical field you plan to pursue, you will need at least dozens of hours of related job-shadowing (possibly 100 or more). It may even be a requirement to apply. And regardless of that, you’ll need VERY good grades (particularly in the sciences) and test scores. Early admission to these schools is sometimes a possibility, but isn’t something you should count on. Early admission is acceptance after completing at least 90 hours AND the pre-requisite courses. So you may want to know if your undergraduate institution will still allow you to earn your bachelor’s degree in case you get accepted to professional school before graduating. 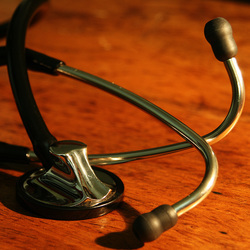 Does it make any difference what college I go to, when it comes to medical school admission? 1. Academics are important, and where you take your classes will be noticed. But not everyone goes to Harvard, and somehow they get into med school every year. 2. Academics are only one part of the medical school admission criteria. Other factors considered include: test scores, admission interview, experience in the field, recommendations, and stated goals. 3. How you do and what else you do to support your application to medical school are more likely to have an effect on your admission than simply where you did it. What about getting an MS in Nursing? The opportunity to obtain a Master’s Degree, for example, suddenly becomes available once you obtain a BS degree. A Master of Science in Nursing, for example, generally requires less time (roughly two years, depending on prior education) to achieve than a Bachelor’s degree and it can open up even more opportunities. It is never too late to consider going back to school, especially when so many schools offer immensely flexible scheduling options. The medical field requires an immense amount of education, and potential employers are likely to treat you with much more respect if they see that you are pursuing post-graduate studies.